‘Time capsule.” That’s how H&H Classics is describing two car collections of primarily pre-war classics consigned for the docket for its upcoming auction June 2 at the National Motorcycle Museum. ‘Time capsule.” That’s how H&H Classics is describing two car collections of primarily pre-war classics — one of them farm-found — consigned for the docket for its upcoming auction June 2 at the National Motorcycle Museum. One collection — the Home Farm collection — includes 11 cars and 34 motorcycles, all found dust-covered in barns in Berkshire, U.K. The other collection — the County Wexford collection — includes 14 cars, among them one of three 1939 Triumph Dolomite 14/60 drophead coups known to still survive. 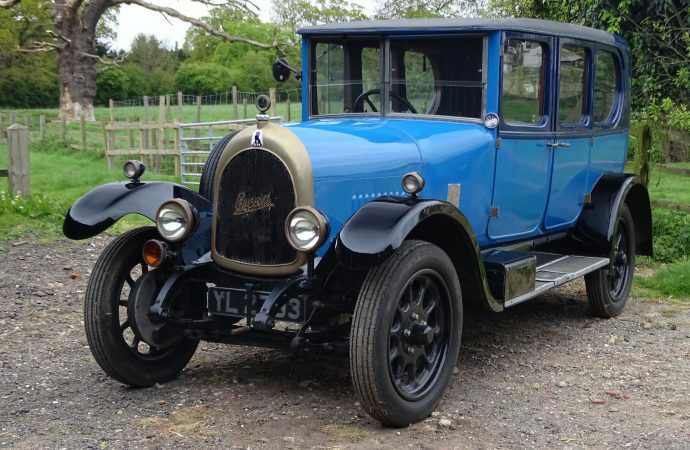 “Once in a while, doing what I do, you stumble across a collection which is pure magic,” Damian Jones, head of sales at H&H Classics, said in a news release. “The contents of this horde (the Home Farm vehicles) could have met the vehicular needs of an entire village during the late 1930s from the squire downwards. H&H Classics noted that many of the vehicles have been off the road for decades. Among the vehicles is a 1912 Buick Model 35C tourer still wearing its original and now 105-year-old paint. 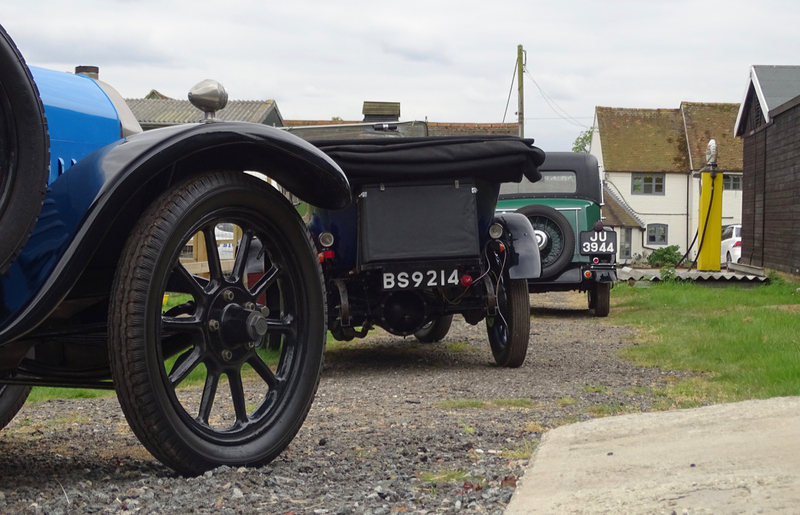 The collection also includes a 1925 Bean 14hp saloon formerly owned by British newspaper magnate Ray Tindle. The motorcycles are primarily from the 1920s and include a 1924 Humber 350, a 1924 BSA “Roundtank” Junior and a 1928 Triumph NP. 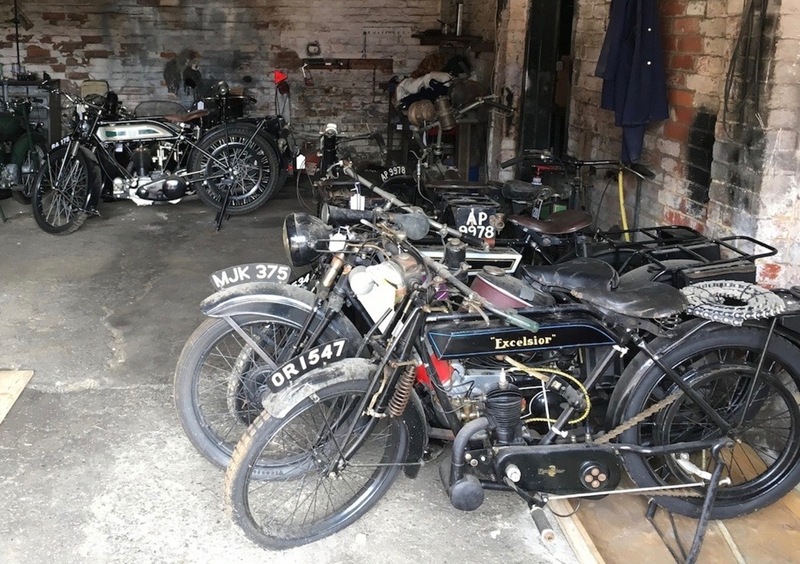 “This collection offers a fantastic opportunity to pick up one of the great names of 1920s British biking in reasonable condition,” said Mark Bryan of the H&H motorcycle department. “They have not run for a few years but won’t take much TLC to bring into good running order. Also on the docket is the County Wexford collection that includes a 1938 Austin 20hp Mayfair limousine purchased new by the fifth marquess of Bath, as well as a 1931 Willys Overland Whippet coupe.